Published today is the excellent EARTHBOUND: DAVID BOWIE AND THE MAN WHO FELL TO EARTH' by SUSAN COMPO via Jawbone Press. 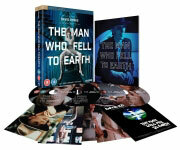 Synopsis: 'Before there was Star Wars ... before there was Close Encounters ... there was The Man Who Fell To Earth.' - advertising tag line for 1981 reissue of the film. Earthbound is the first book-length exploration of a true classic of twentieth-century science-fiction cinema, shot under the heavy, ethereal skies of New Mexico by the legendary British director Nicolas Roeg and starring David Bowie in a role he seemed born for as an extraterrestrial named Thomas Newton who comes to Earth in search of water. Based on a novel by the highly regarded American writer Walter Tevis, this dreamy, distressing, and visionary film resonates even more strongly in the twenty-first century than it did on its original release during the year of the US Bicentennial. Drawing on extensive research and exclusive first-hand interviews with members of the cast and crew, Earthbound begins with a look at Tevis's 1963 novel before moving into a detailed analysis of a film described by its director as 'a sci-fi film without a lot of sci-fi tools' and starring a group of actors - Bowie, Buck Henry, Candy Clark, Rip Torn - later described by one of them (Henry) as 'not a cast but a dinner party.' It also seeks to uncover the mysteries surrounding Bowie's rejected soundtrack to the film (elements of which later ended up his groundbreaking 1977 album Low) and closes with a look at his return to the themes and characters of The Man Who Fell To Earth in one of his final works, the acclaimed musical production Lazarus. You can purchase EARTHBOUND: DAVID BOWIE AND THE MAN WHO FELL TO EARTH NOW. 2018 dates for the play 'FROM IBIZA TO THE NORFOLK BROADS' written and directed by ADRIAN BERRY have just been announced. Note some tickets are available NOW for specific dates. Visit fromibiza.net for more details and information. The THREE randomly chosen prize draw winners have now been announced. 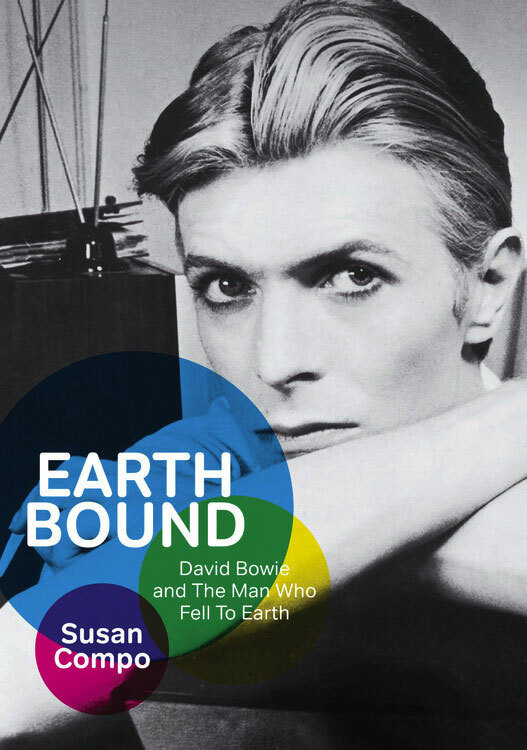 Each have each won a copy of 'EARTHBOUND: DAVID BOWIE AND THE MAN WHO FELL TO EARTH' by SUSAN COMPO, courtesy of Jawbone Press. This paperback, 288-page book is published today via by Jawbone. A big thank you to Jawbone and everyone who participated in this prize draw. Check out a new NACHO edit of DAVID BOWIE performing "Heroes" on Top Of The Pops from 1977. Sourced from three digital broadcasts, and three pre-broadcast recordings and outtakes, this version is complete. It includes a pre-broadcast section which gives us a glimpse into the behind the scenes filming of the show - basically presenter Dave Lee Travis larking about, until what sounds like the shoot manager calling for quiet on the set. It includes a brief shot of Bowie leaning on a piece of the set, waiting to start the performance, and he can be heard clearing his throat before the backing tracks starts. If you missed the recent BBC WORLD SERVICE radio documentary DAVID BOWIE's "Heroes" 40th Anniversary hosted by FLORENCE WELCH you can still catch it via the BBC iPlayer for the next 26 days. Florence Welch, from the British band Florence + The Machine, marks the 40th anniversary of the release of David Bowie's seminal "Heroes" LP by exploring the personal and musical factors that influenced the album's writing and recording in Berlin in 1977. Florence will feature archive of the late David Bowie explaining why he chose to live and work in Berlin and the impact the city's history had on the masterpiece he created. She'll also meet the album's producer Tony Visconti to get an insight to the unique recording techniques he employed to interpret Bowie's creative vision and how the characteristics of the famous Hansa Studios, which are situated in a huge former chamber music concert hall, contributed to the album's influential sounds. Iggy Pop, who was living with Bowie in Berlin during the recording of the album, recalls how a battle with drug addition, bankruptcy and a legal dispute with his ex wife for access to his son all provided inspiration for the album's lyrics and Brian Eno, who collaborated with David throughout the LP's recording, explains the unique musical structures he and David employed to compose the innovative songs. 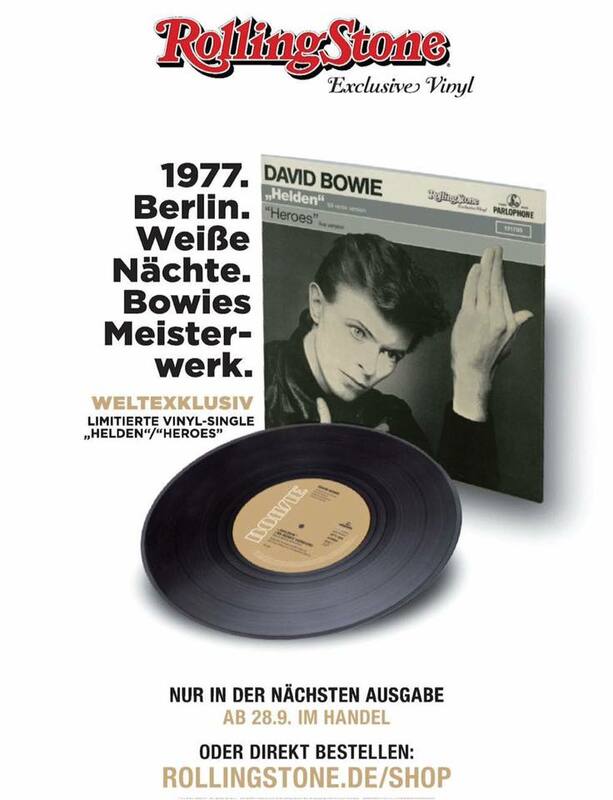 Berlin's radical cultural diversity had always fascinated Bowie and Florence will explain how the opportunity to live and work in the city during the turbulent political period prior to the fall of 'the Wall' provided the perfect austere environment for David and his collaborators to experiment with music inspired by several German techno bands of the 70's, including Neu!, Kraftwerk and Can. Visit bbc.co.uk to listen in. Here's your chance to win ONE of THREE copies of 'EARTHBOUND: DAVID BOWIE AND THE MAN WHO FELL TO EARTH' by SUSAN COMPO, courtesy of Jawbone Press. This paperback, 288-page book is published on 24th October 2017 via by Jawbone. To enter the BW free prize draw, please visit BW COMPETITION NO. 29 for the low-down. If you are entering the competition via the David Bowie Wonderworld Facebook page then please click on the LIKE PAGE button before entering. All entrants in this prize draw, will be issued internally with a number, and the THREE winners will be drawn at random. This prize draw competition is open to worldwide entries and ends at midnight (GMT) on Sunday 22nd OCTOBER 2017. If competitons aren't your thing, you can pre-order your copy NOW. 'While attempts were made to maintain the integrity of the issue that existed on the original master tape of the "Heroes" album, fans' concerns have been listened to and a new master is being created to replace the current one. 'As soon as the new file is available, the digital versions will be updated and those of you who would like a replacement "Heroes" album will be eligible for one. Further details on how to obtain your replacement CD and/or vinyl will follow in due course. In the meantime please retain your proof of purchase. 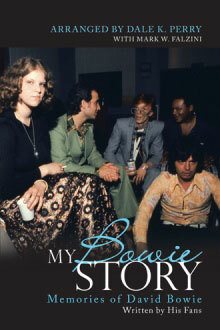 Just published is MY BOWIE STORY: MEMORIES OF DAVID BOWIE by DALE K. PERRY (ISBN: 9781532030116). You may recall this special Bowie fan book project last October asking for contributors. Now, after a lengthy 12 months this work is finally now published with over sixty different writers, eight-five stories and more than thirty photographs. Synopsis: Dale K. Perry can still picture herself at a shopping centre at age twelve, pooling her money with her best friend so they could buy the album with that 'Space Oddity' song. A few years later, she went to her first Bowie concert, and even though she arrived to discover her seat was behind the stage, it didn't matter: She was in the same building as David Bowie. In 'My Bowie Story', she teams up with sixty other storytellers to look back on more than four decades of memories featuring Bowie. Filled with heartfelt stories and photographs, the fans describe how Bowie's music, personas, and creativity changed their lives. The eighty-five stories also offer a glimpse of Bowie's kindness as he interacted with his admirers while relating the impact his message had on the sexuality, education, and the lifelong achievements of multiple generations. From Space Oddity to Blackstar, the tales include personal encounters with Bowie and offer deep insights that longtime fans and those just discovering his brilliance will cherish. Containing 392 pages, the book is available in softcover or e-book (at iUniverse, Amazon, B&N) and will make a wonderful holiday gift for all the Bowie fans in your life. You can purchase My Bowie Story: Memories of David Bowie NOW via Amazon or direct from the publishers iUniverse website. Note: All royalties from the sale of 'My Bowie Story' will be donated to charity in memory of David Bowie. You can download the [official press release] and [flyer] on these links. On behalf of Dale, a huge thank you to everyone who participated in this special charity project. Special tickets are on sale now. Standard Tickets go on sale from Wednesday, 15th November at 11.00 am EST. Museum open every day, except Mondays and Tuesdays. The exhibition is accompanied by a richly illustrated catalogue edited by Victoria and Albert Museum Theatre and Performance curators Victoria Broackes and Geoffrey Marsh, with essays by Camille Paglia, Jon Savage, Howard Goodall, Christopher Breward, Oriole Cullen, Nicholas Coleridge, and a roundtable discussion with Sir Christopher Frayling, Philip Hoare, Mark Kermode, and Geoffrey Marsh. 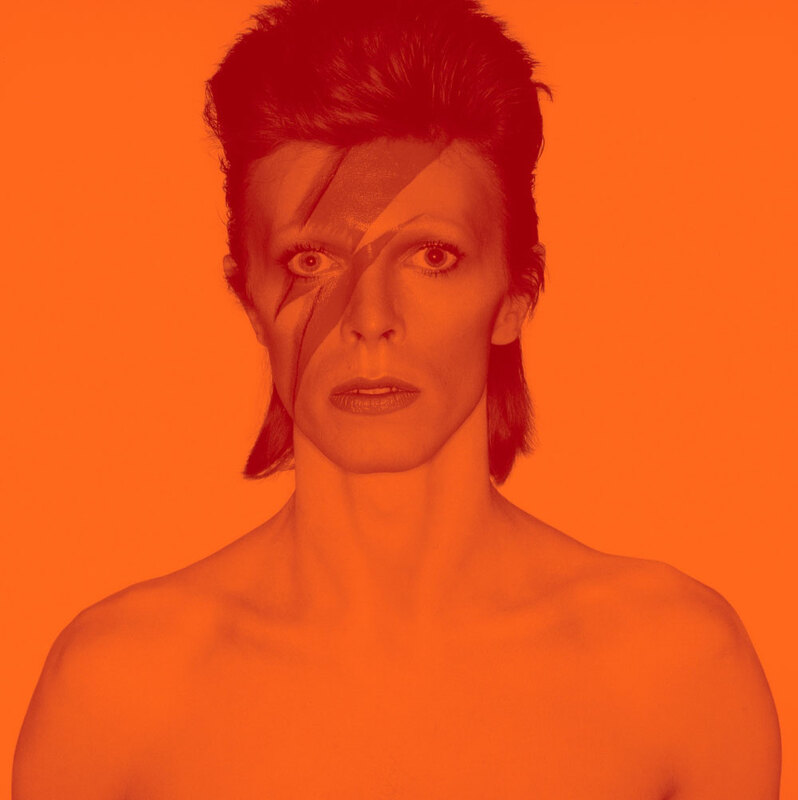 Organised with unprecedented access to David Bowie's personal archive, this exhibition explores the creative process of an artist whose sustained reinventions, innovative collaborations, and bold characterisations revolutionised the way we see music, inspiring people to shape their own identities while challenging social traditions. David Bowie is has been touring globally for the past five years and is taking its final bow at the Brooklyn Museum, providing an opportunity to view this one-of-a-kind material. David Bowie Is presents approximately 400 objects drawn primarily from the David Bowie Archive, including the artist's original costumes, handwritten lyric sheets from famous songs, original album art, photographs, and videos, all tracing Bowie's creative process from his teenage years in England through his last twenty years, when he resided in New York City. The archive is presented within an immersive, multimedia installation that includes continuous audio along with projected animation and video. Highlights of the exhibition include more than 60 custom-made performance costumes, including six designed by Freddie Burretti for Ziggy Stardust / The 1980 Floor Show and seven designed by Kansai Yamamoto for Aladdin Sane. There are 85 handwritten lyric sheets, including those from 'Fame' and 'Fashion'; drawings, including a sketch for the Young Americans album cover; and oil paintings, including two of musician Iggy Pop, all by Bowie. There are also more than 40 pioneering music videos, television clips, and filmed roles as well as a multimedia presentation of international tour footage with rare scenes from the legendary Diamond Dogs tour, filmed in Philadelphia. 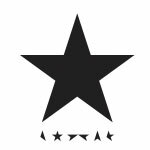 A custom audio mix made up of snippets of Bowie's songs - produced by longtime collaborator Tony Visconti - is also featured. David Bowie Is is organised by the Victoria and Albert Museum, London. Get ready for a BIG announcement from the BROOKLYN MUSEUM tomorrow. "We have a huge announcement that we can't wait to share with you! Check back with us tomorrow for the big reveal!" 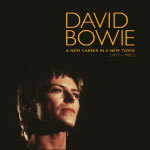 In the last few days there has been mounting criticism from some of the audiophile community about perceived mastering errors on Parlophone's new David Bowie box set 'A New Career In A New Town'. - There is a volume drop during the title track of "Heroes" at around the 2.50 mark. - Low has a rather overcooked bass-heavy remastering which spoils side one, in particular. - Various issues with the Lodger remaster, including a similar increase in bass some tape/noise flutter being present and an incorrect fade-up on the beginning of 'Red Sails'. Not everyone complaining has problems with all of the above, but there is a general consensus that given the status of the iconic track, the "Heroes" issue is disappointing and rather puzzling. The accusation is one of sloppiness; lack of quality control. In fact, the strength of feeling is reflected in the reviews on Amazon UK many of which bring up these issues. There have been enough complaints for the UK arm of the online retailer to actually stop selling the CD box set for the time being (it's still available from third party sellers) so this issue is obviously of concern to the record label. SDE put these criticisms to JULIAN STOCKTON, David Bowie's publicist and and as a result I was invited to Warner's London HQ this morning to discuss this issue in some depth, with Julian and Tim Fraser-Harding (President, Global Catalogue, Recorded Music for Warner Music Group). During a conversation that lasted close to two hours, the team stressed how much time and energy had gone into both getting the music and the presentation of this set right. I was told, for example, that over 50 vinyl test pressings for just one of the albums in A New Career In A New Town were checked. In terms of the issue around the mastering and the additional bass or 'bottom end' on albums like Low and Lodger, the point was strenuously made that Tony Visconti has never been involved in remastering these albums before, and what you hear on these new remasters is how he always wanted them to sound. Back in the 1970s, there was only so much bottom end you could deliver, due to the limitations of vinyl, but this was an opportunity to address that. Visconti of course, was the producer of all four records (Low, "Heroes", Lodger and Scary Monsters) and therefore 'in the room' when they were being made. He has the credibility to make this call, even if the sound isn't to everyone's taste (or what they are used to via previous remasters). This approach was discussed with Visconti and agreed on beforehand. In other words, the object was never to make these sound as much like the original vinyl pressings as possible. Warner Music/Parlophone categorically reject the notion that these sound differences constitute any kind of error or fault with the box set. In terms of the problem on the title track of "Heroes", it was explained that this is down to an issue on the master tape. It was stressed that for all four albums, the label went back to the original analogue master tapes for new digital transfers (done at 192/24). The issue on the master tape of "Heroes" is described as a 'loss of energy' on that title track that starts at around the 2.42 mark, and lasts for about four or five seconds. Parlophone stressed that they were very keen to maintain the integrity of using the original master tape. So rather than 'fly in' a section from another tape generation or source (such as a safety copy) they kept to the original master tape transfer and the track "Heroes" was given a boost of high frequency during the period of this loss of energy. When this high frequency boost finishes (around the 2.50 mark) the effect creates the impression of a drop in volume but Parlophone insist that this simply isn't the case. The level is consistent with the start. Again, Warner Music/Parlophone reject the notion that this disc is in any way faulty. You are listening to the original master tape with this slight frequency adjustment for a short period in the middle of "Heroes" to correct an issue inherent with the master tape itself. I asked why this issue on the master tape hadn't come up before and was told that it was probably because this was the first time in a very long time that the original master tape was being used and no-one knows when the issue with the tape may have come about. Warner Music / Parlophone emphasised that there was no de-noising at all on any of the remasters within this box set any hiss present is as per the original master tapes. 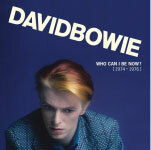 'DAVID BOWIE A NEW CAREER IN A NEW TOWN - "HEROES"
Concerning "Heroes" what fans are hearing is not a level drop. This is, through mastering, an attempt to resolve an issue that exists on the original master tape. On the flat unmastered transfer, there was a temporary loss of energy on the track just before 2.50. During the album mastering some high-frequency automation (in the region of +- 6dB) has been added in order to compensate for this. So to clarify, there is not a drop in volume, there is a high frequency boost for a couple of seconds at the loss of energy which then returns to normal and the track continues to the end at a level consistent to the start. As the co-producer of "Heroes" Tony Visconti, was both fully involved and approved the remastering of this and all original albums within the set. The albums contained in A New Career In A New Town are how Tony Visconti, who was not involved in past remasterings, always wanted them to sound. He was previously hampered by the restrictions of vinyl regarding the bottom end. Thanks to Paul Sinclair from superdeluxeedition.com website. 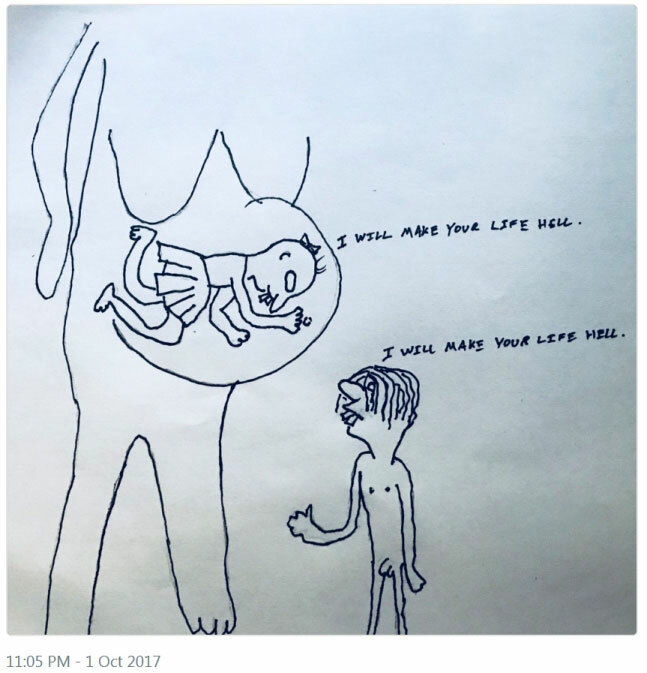 Click on the link to read all the comments posted by a multitude of people. Many congratulations to DUNCAN and RODENE JONES and all the family on the announcement of their forthcoming daughter, and sister for STENTON. 'Incredibly excited to be able to announce that the Jones gang is growing again! @rodeneronquillo cooking up a little... girl! 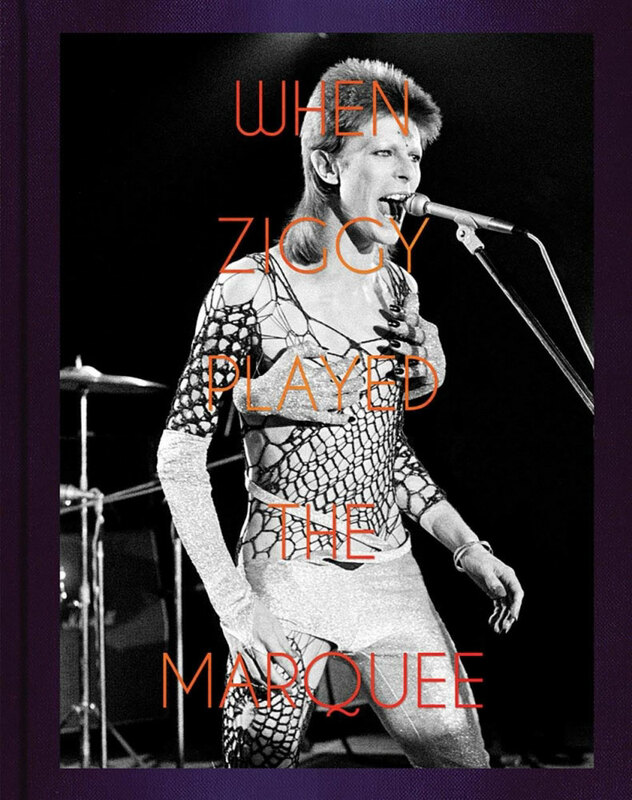 Published this month is WHEN ZIGGY PLAYED THE MARQUEE: David Bowie's Last Performance as Ziggy Stardust by TERRY O'NEILL. You can pre-order When Ziggy Played the Marquee which is now scheduled for 14th September. 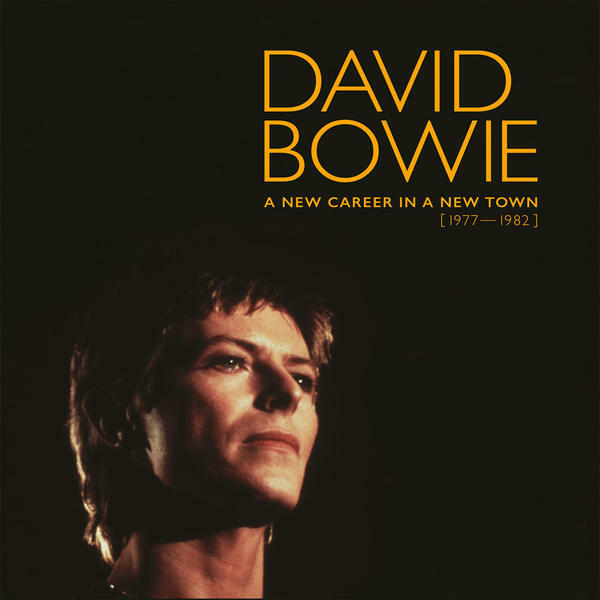 You can purchase DAVID BOWIE 'A NEW CAREER IN A NEW TOWN (1977 - 1982)' BOX SET NOW! "HEROES" 40th Anniversary Picture Disc Vinyl - released via Parlophone on 22nd September - you can purchase NOW! New book WHEN ZIGGY PLAYED THE MARQUEE: David Bowie's Last Performance as Ziggy Stardust by TERRY O'NEILL hardback, 208-pages, published by ACC Art Books on 14th September - you can pre-order NOW. New hardback book DAVID BOWIE: A LIFE by DYLAN JONES, 576-pages, published 7th September via Preface Publishing - you can purchase NOW.